Ethiopia’s Federal Ministry of Education has developed its latest education plan, a key component to the country’s overall push to become a middle-income country by 2025. First launched in 1997, Ethiopia has introduced a series of five-year plans called Education Sector Development Programs, which strive to increase access to educational opportunities with enhanced equity, equality and relevance. Now in its fifth installment, the ESDP-V continues in this vein with the ultimate goal of contributing to Ethiopia’s economic development. The latest plan incorporates a number of bold changes from the previous ESDP-IV, while also continuing some of its ongoing programs to improve educational quality and equity. A renewed focus on pre-primary education under the auspices of the government. Expansion of schools at different levels, from the secondary to tertiary level. 11 new universities are slated to open in the coming five years as well as 6,000 additional secondary schools, made possible in part by extending schools to accommodate primary and general secondary on one site. A new curriculum, which focuses on improving quality, will be be developed, ready for implementation from 2020. A plan to increase enrollment of special needs students. While the country has made immense strides over the past decade, quality and efficiency remain a challenge. A 2012 study revealed that three million children remain out of school at the primary level. Furthermore, a quarter of first grade students dropped out of school during the 2012/13 academic year. However, there has also been progress. Gross enrolment has steadily risen from 55% in 2000, to 81% in 2005, and 102% in 2010, attaining a high of 130% in 2012 (according to national statistics). There has also been a major expansion and restructuring of the Technical and Vocational Education and Training (TVET) sector and a network of 36 universities now exists. While development has been welcomed, improving quality remains a top issue for both IIEP-UNESCO and Ethiopian education officials. This only becomes more magnified during times of fast growth and the proliferation of educational institutions, and is consequently a key element of the ESDP-V.
Mr Eshetu says an analysis was first launched into how well students were learning and that a number of interventions have since followed. “The study showed that many students, particularly in grades one to three, were not able to read and write. That’s really a disaster for the whole system,” said Mr Eshetu. As a result, the curriculum is being revised with a focus on reading, as well as putting more resources toward science and technology. But quality does not just rest on student performance. Mr Eshetu says improving teacher training and reworking training modalities is a key component to long-term success. Reflecting issues with education efficiency, Ethiopia has also grappled with a high dropout rate at early grades, and particularly at the end of each cycle of primary schooling (grade five and grade eight). In response, the government is continuing to implement mechanisms to keep students in school – while also encouraging learning – during these critical stages. The construction of new schools is also incorporated into the plan to accommodate students projected to advance to secondary school. IIEP has worked in Ethiopia for over 15 years, helping create and implement its education sector plans. For the ESDP-V, IIEP began working closely with the Federal Ministry of Education one year ago with the preparation of an analysis to gauge progress made under the previous education plan. With ongoing support from IIEP and financial support from UNESCO, the Federal Ministry of Education set up various task forces, which met regularly between August 2014 and June 2015, to prepare the various chapters of the plan. 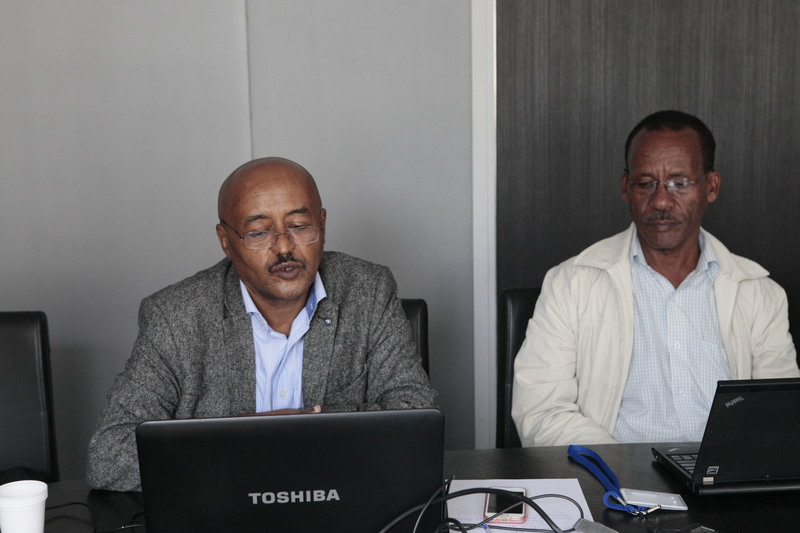 A number of consultations also gave the regional bureaus, universities, and TVET agencies opportunities to comment on core elements of the plan, while development partners discussed strategy options with the national authorities. During the last stage of finalizing the ESDP-V, a delegation from the Federal Ministry of Education met in Paris in July at the UNESCO-IIEP headquarters for a week-long workshop. As Ethiopia begins implementing the ESDP-V, Mr Eshetu explains how the country is trying to figure out how to best prepare its massive population for the future. The latest education plan, which will run until 2020, addresses this overarching issue and incorporates a number of changes – from pre-primary to higher education – to help enable every Ethiopian child reach their full potential.